From more convenient travel options to a host of cultural events, there are manifold reasons to visit Spain this year. When planning a trip, it’s helpful to take a look at upcoming local festivals, attractions, and transportation options to maximize your Spanish holiday. One of the best ways to experience Spain is to take part in its highly varied cultural festivals, celebrating the history and tradition of each region. 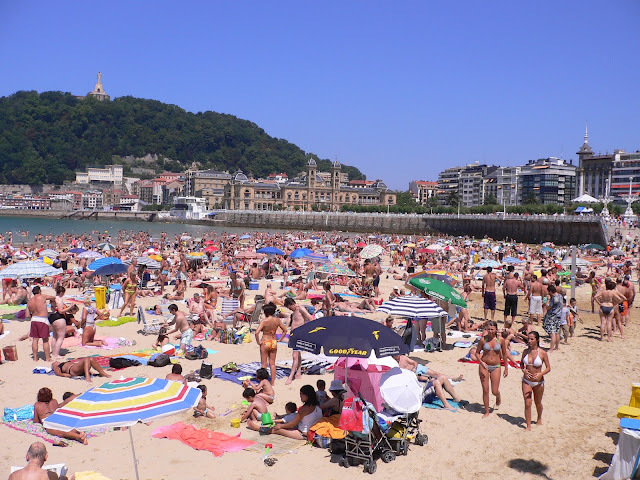 One of the best is the Big Week, or Semana Grande, in Bilbao, which draws 100,000 visitors each year. Taking place in the third week of August, it features the best of Basque culture, with everything from a strong-man competition to giant puppets parading through the streets. A highlight of Spain for many visitors is the Costa Blanca, the long stretch of golden sandy beaches in the Alicante province. Flights to Alicante drop you off in the center of the Costa Blanca’s scenic capital city, from which you can explore all of the surrounding historically rich towns and tranquil beaches. For an alternative view of this region, you can visit some of the lesser-known areas such as the ruggedly beautiful Calblanque nature reserve and the quaint hilltop village of Guadalest to get away from it all. There are now numerous budget airlines offering cheap flights to Spain, and the number of destinations is set to increase this year. For example, the Spanish low cost airline Vueling is adding new routes from Cardiff to Spain beginning in 2012, and Ryanair is rolling out a flurry of new flight options to destinations including Barcelona, Ibiza, and Madrid beginning in March. Jet2 is also adding budget-friendly flights to their roster this year, including a route from East Midlands to Malaga. The Primavera Sound Festival takes place from May 30th to June 3rd in Barcelona’s spacious Parc del Forum. With the sea as your backdrop, you can shake it to numerous international rock and pop acts. Past performers include The White Stripes, Pixies, and Lou Reed. Only two weeks later, there is Sonar Festival, on 14-16 June. This festival is mainly dedicated to multimedia art and electronic music. It also draws in big names such as Orbital, The Chemical Brothers and Beastie Boys. Spain’s new high speed AVE trains can barrel through the countryside at a speed of up to 193mph, allowing you to see more of the country in less time. For example, it now only takes 2.5 hours to get from Barcelona to Madrid. New routes in 2012 will include a line from Seville to Cadiz and extended service throughout the Northern corridor in Basque country.